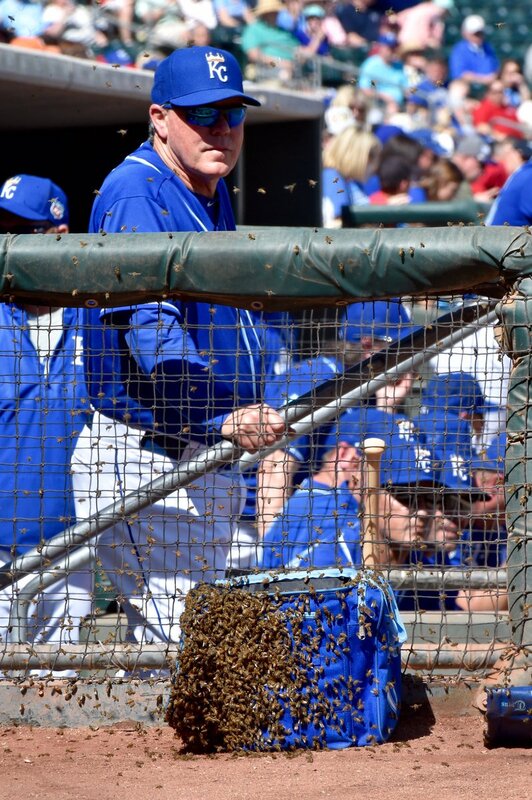 In a weird, bee-infested game, which was delayed while crew worked on a massive swarm of bees at the stadium, Edinson Volquez pitched three scoreless innings in his debut for Kansas City in a 3-2 victory. The game was delayed after the bees sent Royals coaches and players scrambling to get away. Oddly enough, in attendance was a retired bee keeper from St. Joseph, Missouri, who came out of the stands to help secure the swarm. In the victory, talented up and comer Bubba Starling hit a 2-run, inside-the-park homer for the Royals, further adding to his impressive performance so far this spring. The local product has been quiet since joining baseball as a professional several years ago, but from all accounts, Starling is getting closer and closer to potentially reaching the major league level. Kansas City is now 3-5 in spring training and has now won 3 of its last 4 games after starting out 0-4. Tickets for all spring training games in Surprise, Arizona are on sale now at Tickets For Less. Pack up the car or hop on a plane and see your Royals take the field as they prepare to defend their World Championship in 2016. Don’t miss your chance to see Kansas City up close and personal as they take the field this spring!